Fresh calls have been made for the resignation of two Haringey councillors over the death of Baby P in London. 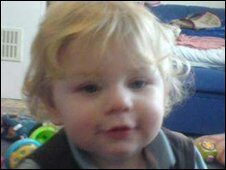 The 17-month-old boy died in a blood-stained cot in August 2007 after months of abuse, despite 60 visits from authorities over eight months. Haringey Council's Liberal Democrat opposition tabled a motion demanding the leader and another councillor step down. Cllr Robert Gorrie tabled it during Monday evening's full council meeting. The toddler's mother, her boyfriend and their lodger, Jason Owen, 36, will be sentenced at the Old Bailey on 15 December for causing or allowing his death. The Liberal Democrats called for council leader George Meehan and councillor Liz Santry, cabinet member for Children and Young People, to resign. 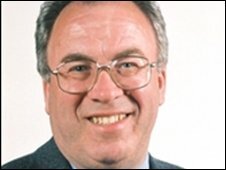 "The only way to get effective change in Haringey council is for there to be change at the top," Liberal Democrat leader Cllr Robert Gorrie told the BBC on his way into the meeting. Ms Santry said: "This is a really tragic occurrence and the circumstances of his death are really dreadful. "Our duty is to protect our children. We did not do so in this instance and I would like to say how truly sorry we are." Last week Mr Meehan was urged to stand down at a highly-charged council meeting. He ignored calls for his resignation and issued a "heartfelt and unreserved" apology on behalf of the council and himself personally. He expressed sorrow for "the suffering he endured" and the "failure of all the child protection agencies" to save Baby P's life. Children's Secretary Ed Balls has ordered an urgent inquiry into Haringey's child welfare services. But Mr Gorrie described the two-week initial review ordered by Mr Balls as "little more than a damage limitation exercise on the part of the government". Haringey Council was previously severely criticised after the murder of eight-year-old Victoria Climbie in 2000.